There are two types of Dynamic DNS can be found. First is “Dynamic DNS Updating” in which the system automatically updates the DNS records without manual configuration. Another one requires the client to update the Dynamic DNS records manually, by providing a persistent addressing method for systems that change the configuration, location and IP addresses frequently. 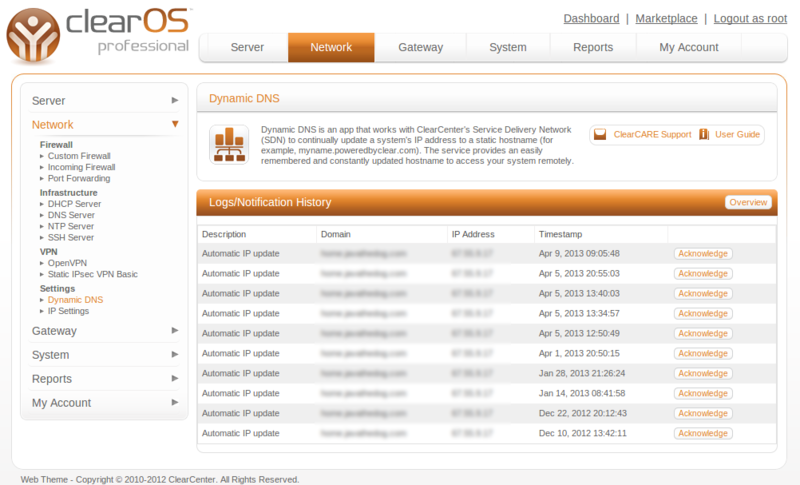 Download the latest version of ClearOS Dynamic DNS – Version 2.0.15-1, for free from ClearCenter Marketplace. The app comes with a standard GPL license.